Two weeks ago we thought we had the last snow of the winter. But this morning we were greeted with 3.5 inches of the white stuff. And it’s opening day for the Mariners! It’s supposed to be 50 degrees plus later today but I’m skeptical. 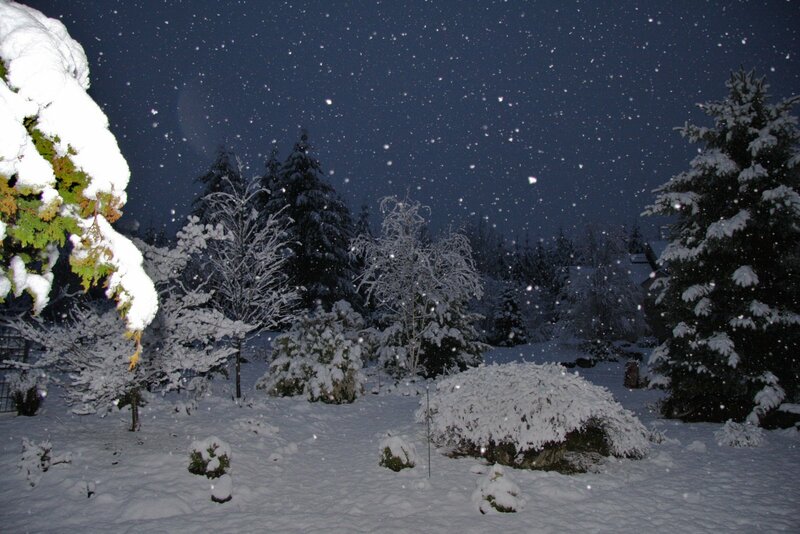 Here’s the view from the front porch at 6:00 a.m. this morning. Sigh! It’s the day after Easter and a small storm just blew through covering the ground and trees with fresh SNOW! I see that the mountain passes are going to get another foot or so of snow and Snoqualmie Pass got a record 141 inches in March. Gee! Maybe spring really is here. I took advantage of the beautiful 60-degree temperature to get in 18 holes at Mt. Si. I recorded my best score in nearly six months with an 87. I hit eight fairways but the short game was great today. One chip in and made putts of 15 and 27 feet kept total putts to just 27. I was just eight over par through thirteen holes but I didn’t manage any pars over the final six holes.